With so many professional trainers out there, it can be difficult to decide who will be the best match for your dog or puppy. Getting a good trainer is important because if your pooch is well-behaved, then you and your pet can enjoy a happy, balanced relationship together. * Reputation. Ask around and get recommendations from your vet, family members, friends, neighbors, humane societies, and kennel clubs. * Research. After you have compiled a list of potential trainers, see if they have websites, which can help you learn more about them and narrow down your list. – How long have you been training dogs? – What education or training have you had in this field? – May I observe one of your classes before I sign up? * Observe. Watch how the trainer interacts with the dogs and their owners. Good trainers are concerned about the dogs’ welfare and do not use any rough handling techniques. Also note how the trainer’s dogs behave. Are they well-mannered, or are they out of control? * Communication skills. 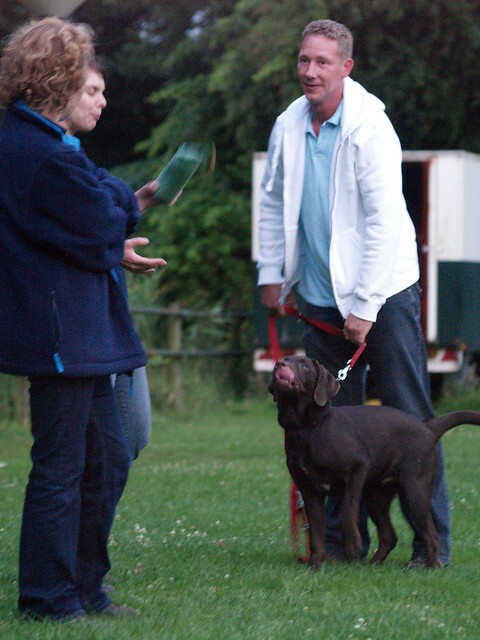 A trainer who communicates well with both the dogs and their owners makes the whole process easier and more fun. * Knowledge. Committed dog trainers regularly attend training and behavior courses, workshops, and seminars to stay up-to-date. * Methods. Different dogs will respond to different methods in different ways. If your pet does not respond well to a certain technique, the trainer should be willing to try another one. * Structure. Note the size of the class, and if dogs get some individual attention. * Dedication. Finding a trainer who genuinely loves dogs and working with them is very important. He/she should also have a sense of humor. The trainer, dogs, and owners should all be enjoying the class. * Affiliation. While it is not necessary, a trainer who belongs to reputable training clubs and organizations is certainly a bonus.